Below you can view all the homes for sale in the West End subdivision located in Atlanta Georgia. Listings in West End are updated daily from data we receive from the Atlanta multiple listing service. To learn more about any of these homes or to receive custom notifications when a new property is listed for sale in West End, give us a call at 404-998-4063. Take The Beltline To Lee + White, Lean Draft House! No Blind Offers, Cash Preferred. MLS#6538866. Keller Williams Realty Intown Atl. Located Easily Within Biking Distance To The Atlanta Beltline, Parks, And Shopping. Walk To Marta. MLS#8566410. Carter-Hazel Realty. Enjoy Fun Local Dining In The West End, One Of Atlanta'S Most Up And Coming Areas! MLS#6536838. Re/Max Town And Country. Fenced In Backyard With Lots Of Space For Entertaining. Home Won'T Last Long. MLS#6537118. Maximum One Realty Greater Atl.. The Back Yard Features Off-Street Gated Parking. This Is Rare Find! MLS#6536389. Exp Realty, Llc..
Jump Directly On I-20 For Access To Everything, Only A Short Stroll To The Beltline And Minutes Away From Lee + White Beverage District And More. MLS#6536271. Keller Wms Re Atl Midtown. Come Make This One Your Home! MLS#6534782. Atlanta Intown Real Estate Services. Located Just A Few Blocks From Marta And The Beltline MLS#6534129. Re/Max Metro Atlanta Cityside. It Is On The Marta Bus Line And Within A Mile Of I-20. MLS#8559446. Michael Carr And Associates. 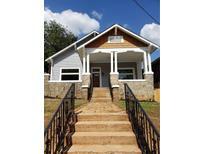 Located Just A Few Blocks From Marta And The Beltline MLS#6532135. Re/Max Metro Atlanta Cityside. Sold As-Is Cash And Conventional Financing Only. MLS#6532002. Michael Carr And Associates, Inc..
Additional Features Include: Dual Zone Hvac, All New Systems And Windows, Main Floor Powder Room, Stainless Steel Appliances, Custom Cabinetry And Wine Bar! MLS#6531300. Keller Williams Realty Metro Atl. Walk To The Beltline, Marta, Bike Trails & Greenway, Park W/Playground, Restaurants, World Class Night Life And More. MLS#6530634. Beacham And Company Realtors. Basement Offers Huge Laundry/Mudroom, Bedrooms, Bathroom & Huge Open Family Entertaining Space. All Offers Welcome!! ! MLS#6531019. Elizabeth Street, Inc..
Pre-Appraisal Came In At $300K-Provided Upon Request. MLS#6530234. Keller Williams Realty Metro Atl. 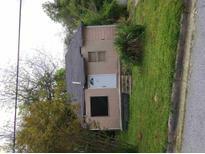 Property Sold As-Is With No Seller'S Property Disclosure.No Bind Offers!!! Faces Avon Ave. MLS#8555936. Georgia Reo. Beautifully Renovated Craftsman Bungalow Close To Westside Beltline W/ High Ceilings & Lovely Architectural Detail Including Two Decorative Fireplaces.This Light Filled Home Has Fresh Paint & Gorgeous Refinished Hardwoods.Brand New White Eat-In Kitchen W/ Craftsman Cabinets, Stainless Appliances & Quartz Countertops.The Master Bedroom Has Ensuite Master Bath W/ Double Vanities.There Are Three Additional Bedrooms & And A Renovated Hall Bath.Inside The Backdoor Is A Laundry Room/Mudroom.Enjoy Outside Living On The Wonderful Front Porch Or In The Large Flat Backyard. MLS#6529100. Atlanta Fine Homes Sothebys International. Just 1.9 Mi To The Beltline! 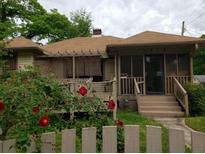 Equity Appraised For $324K MLS#6528813. Solid Source Realty, Inc..
(Range, Refrigerator, Dishwasher And Over The Range Micro. MLS#6527396. Keller Knapp, Inc..
Minutes From Shopping, Dining & The Beltline! MLS#6526552. Keller Williams Realty Chattahoochee North, Llc. This Jewel Is Located In The Sought After West End! MLS#6525644. Keller Williams Rlty-Ptree Rd. Area Is Also Great For Fix And Flip. MLS#6520435. Keller Williams Realty Community Partners. This Is A Must See Home!! ! MLS#6519778. Exp Realty, Llc.. Deep Lot, Fenced W/ Off Street Parking! MLS#6519732. Palmerhouse Properties. Both Secondary Bedrooms Are Away From The Master And Can Comfortably Fit Full Or Queen Size Beds. MLS#6519462. Keller Williams Rlty, First Atlanta.